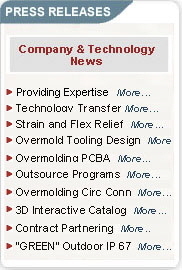 ISC Engineering completes 30th outsource program . Pomona, CA.-September 1, 2008—ISC Engineering has completed over 30 OUTSOURCE programs with Industry leading OEM's and cable assembly companies. Prior to ISC developing a format to assist companies add overmolding of cables and connectors to their internal capabilities, the difficulties associated with the design and development of overmolded products was beyond the reach of many companies. 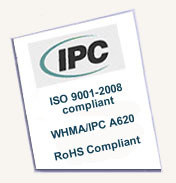 ISC has developed a proven track record to assist companies in this vital addition to their product and manufacturing capabilities. With over 100 years of combined management experience, dating back to the late 70’s, ISC’s in depth experience in the molded cable assembly industry is probably second to none. They are prepared to provide standard and custom designs. Flexibility and rapid response make their service unique. According to Steve Burk, co-founder and president of ISC, “The most common problem facing the overmolding community is tying together the front end of a new product design to the back end production. So often, the assembly works, the mold is correct and the part looks ok, but the part does not work.” ISC has addressed this issue by providing vertically integrated design and development processes, from concept through initial production stages, providing turnkey tooling and product designs that work. Mr. Burk serves as President of ISC Engineering, and has been involved in the interconnect and cable assembly industry since 1971. He has written numerous articles on cable assembly and molded interconnect products and is regarded as an expert in the area of molded cable assembly technology.